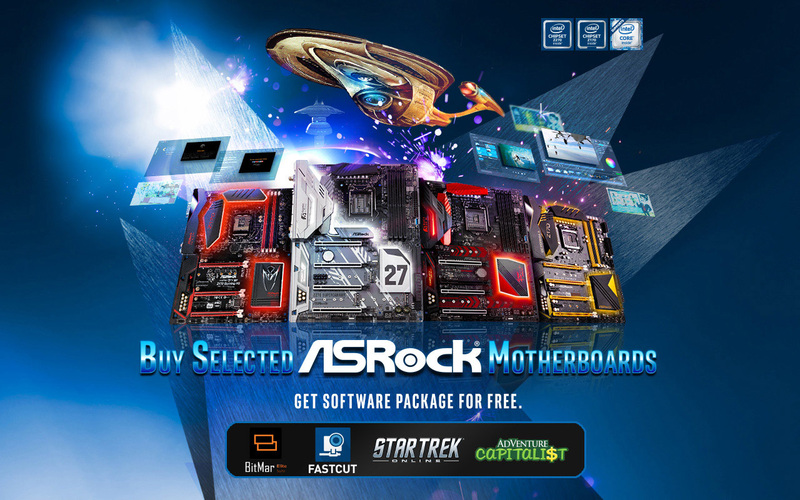 Buy Selected ASRock Motherboards--Get Software Package For Free. Purchase ASRock® Z270, Z170 series Motherboards and register online during promotion period, and you can get a Master Key of the Intel® Free Software Package, with a total value of USD$135. This Offer is valid as long as supplies last. In this event, the purchase channels of the Promoted Product should be ASRock's worldwide e-tailers or distributors, but not including the purchase channels located in China. STEP 1:	Purchase Purchase Promoted Product from the Purchase Channel during the promotion period. 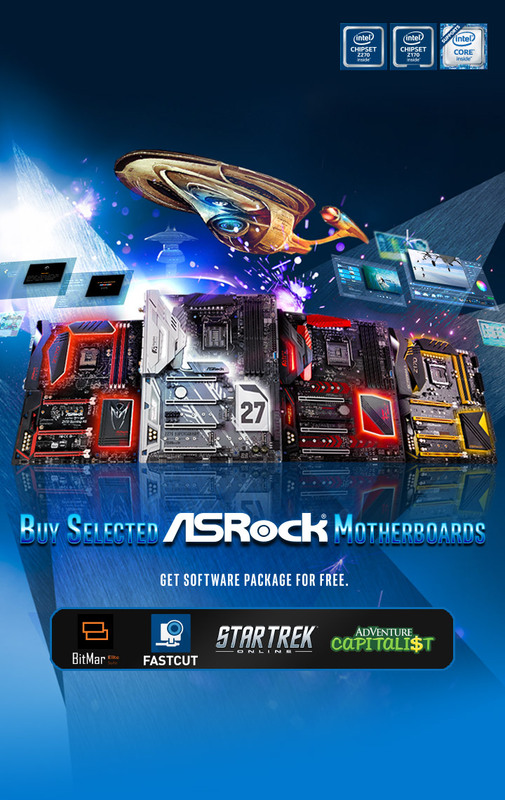 STEP 2:	Login to the ASRock® Event page, fill in related information and upload proof of purchase. STEP 3:	Confirm Login: After logging in to the ASRock® Event page, the system will automatically send an E-mail to you. This confirmation letter only indicates that ASRock® has received your information and still needs to be manually reviewed to see if you are eligible for the event. STEP 4:	Manual Review will take up to 7 working days. The Master Key will be emailed to your mailbox after is completed. 1. We assume you agree this Terms & Conditions and Intel's Terms & Condition as provided in the following link when you participate in this event. 2. In order to be eligible to participate in this event, you must purchase Promoted Products and obtain the Proof of Purchase of the Promoted Product during the promotion period. The deadline of the Master Key's redemption is February 28, 2019. After the redemption period, the Master Key will be invalid. The quantity of Intel® Free Software Bundle is limited and this offer is valid while supplies last. 3. Participant of this event must be an end consumer. Providing distributor's, agent's or ASRock's name or email address for registration instead of yours can cause cancellation of your eligibility to this event. In order to protect our consumers' rights, we do not accept any third party to apply this event on your behalf. a. If you provide a paper invoice as Proof of Purchase, the invoice must show Promoted Product model, date of purchase, and invoice number. If the information shown on the paper invoice is incorrect, incomplete, unclear or difficult to be identified, such invoice will not be approved. b. If you provide an electronic invoice as Proof of Purchase, you should additionally attach a photo of the Promoted Product box which shows its serial number. If you provide an electronic invoice only, such invoice will not be approved. For verification purpose, you should keep the original Proof of Purchase until you receive Intel® Free Software Bundle. If we are unable to confirm your eligibility due to any loss or damage of Proof of Purchase, your eligibility will be considered as disqualification. 4. Each serial number of a Promoted Product can only be redeemed once. If you apply for replacement of Promoted Product, you are not allowed to receive Master Key again. If you apply for return of Promoted Product, your Master Key may be invalidated without any time limitation. If the information provided by you is false, incorrect, incomplete, or difficult to be identified, your registration will be considered not completed. We are entitled to cancel your eligibility and reserve all rights to take legal actions against you. 5. 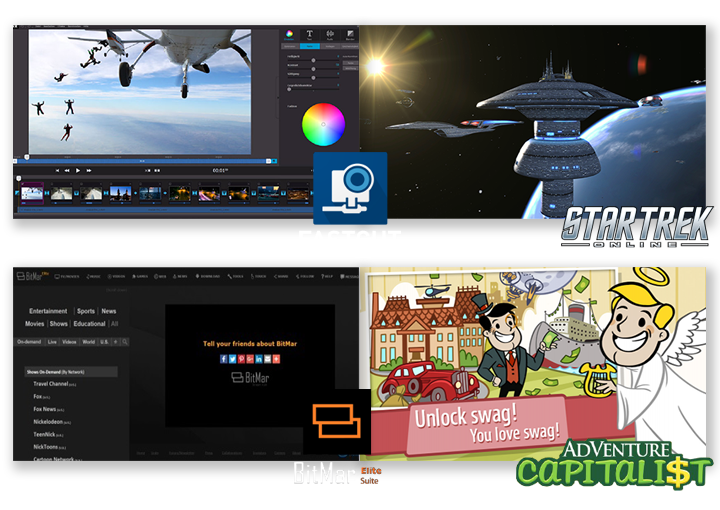 THE INTEL® FREE SOFTWARE BUNDLE IS PROVIDED AS IS. You are not allowed to exchange Intel® Free Software Bundle for other items, cash or discount. 6. ASRock does not provide any warranty of the Intel® Free Software Bundle. If you have any question relating to Intel® Free Software Bundle during the redemption period, such as Master Key is invalid, Master Key is expired, redemption limitation has reached, installation issues, or ISV issues, please click "Support" at the bottom of http://softwareoffer.intel.com website, or directly contact Intel for assistance. 7. If there is any delay, loss, error or damage to your information arising from your computer, internet or other matters which are not attributable to ASRock when you send or register your information on the ASRock® Event Website, we will neither resend the Master Key, nor be liable for any responsibility. You shall not raise any objection.